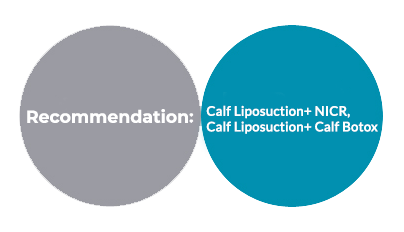 Why choose calf liposuction at line plastic surgery ? 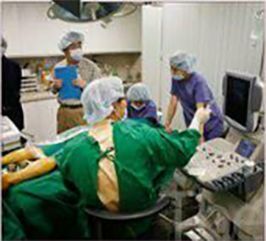 -Medical professionals of calf surgery centre who train medical specialists at home and abroad. -Know-how of blocking micro muscle & high level of procedure technique. 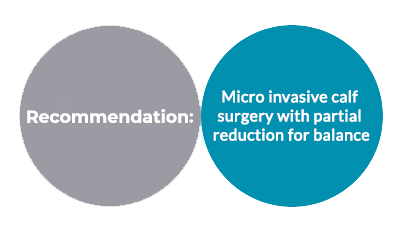 -Non-invasive procedure : Almost no wound with delicate procedure. -Safely : Safe surgery with high degree of completion. 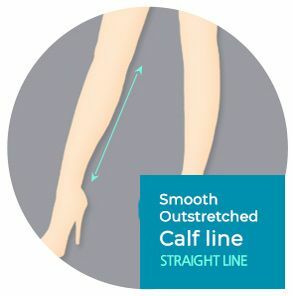 What kind of calf reductions does THE LINE have ? Definite effect by blocking relevant nerve on calf muscles. Using extreme precision laser to minimize recurrence rate. No yo yo syndrome with permanent decrease of fat cells. Grasping soft tissue through 3D ultrasound analysis before procedure. Downsizing effect by liposuction of subcutaneous surrounding bulging muscles. 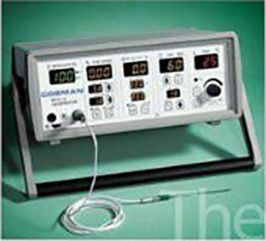 Quick procedure within 10 min & daily life right away. No wound and simple procedure, preffered by busy workers. 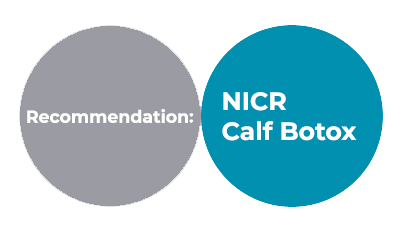 Who should consider calf reduction ? 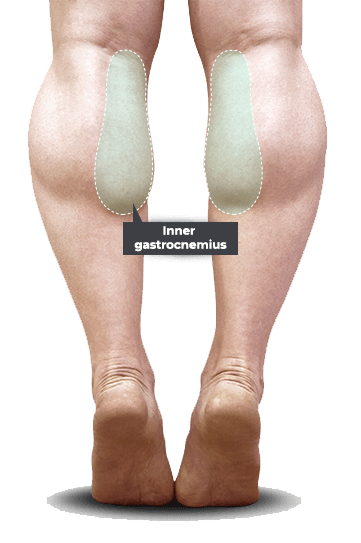 This is the most common case that inner gastrocnemius on calf is developed and inner line of the legs doesn’t look even. So it doesn’t look sleek when you wear a skirt. 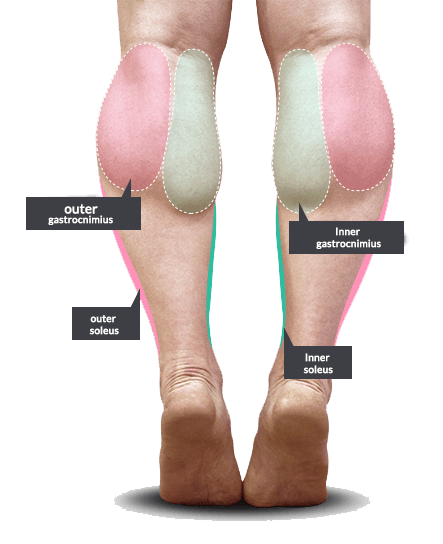 This part is where gastrocnimius muscle is developed along with inner muscle, Mostly by exercise. This muscle starts from upper ankle and it is related to all movement of the calf. Since the procedure might cause functional imbalance, the surgery should be done by a skilled surgeon with safe equipment and full concentration. 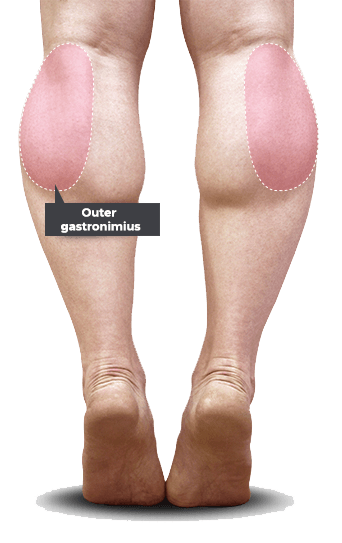 You have well developed inner gastrocnimius muscle and outer gastrocnimius muscle that bulging muscle is seen from the front/ side / back. This case happens to those who use muscles a lot through exercise and walking or just through ones daily habit. 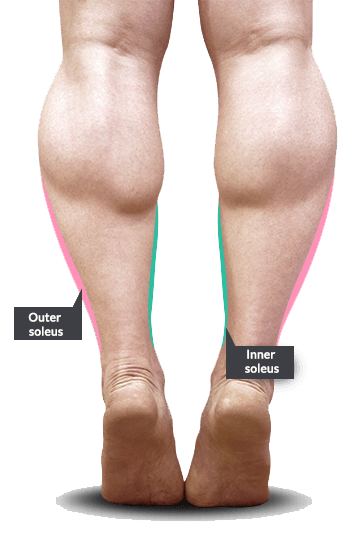 This type has all muscles developed including inner and outer gastroconimius with fat that the calf is thick overall and bulging calf muscle is outstanding. 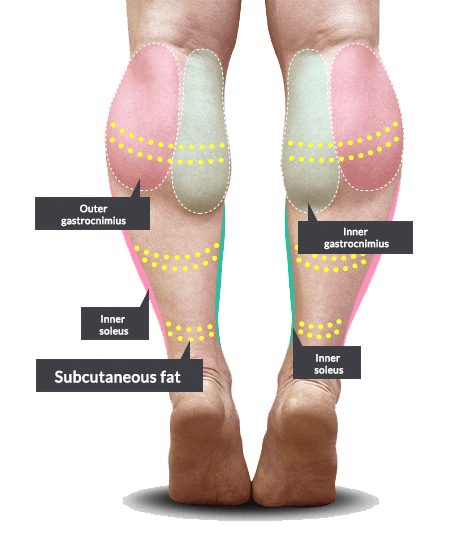 Generally it is not easy to have fat on calves but it can be due to obesity. 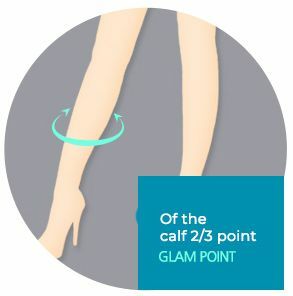 Through a super fine laser in calf liposuction, block the motor nerves dominating the muscle while looking at the movement of the gastrocnemius calf muscle reduction surgery caused by the nerve impulse. 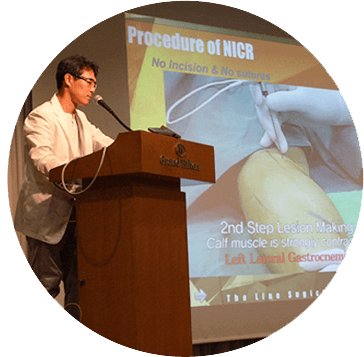 Due to the regenerative nature of the peripheral nerve in calf muscle reduction surgery, it is expected that relapse occurs in calf liposuction surgery. 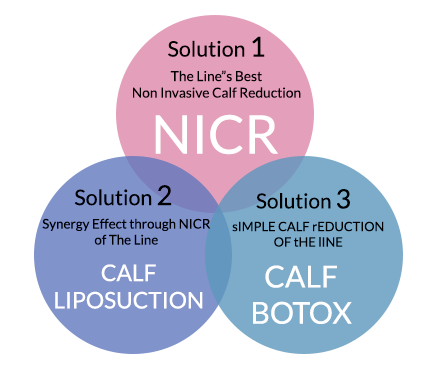 However, we try to lower the recurrence rate as much as possible by our only nerve block method using a superfine laser to give slim calves. 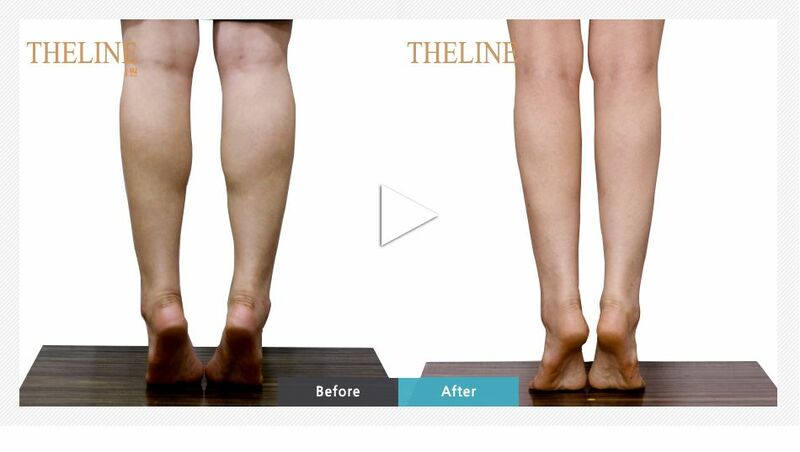 For more demonstration about calf liposuction please look at our before and after photos. The highest completeness with a full understanding of calf muscles. 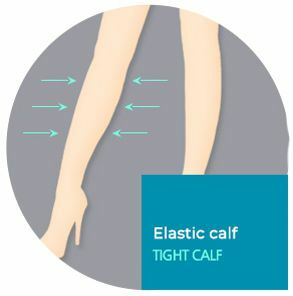 A gentle recovery period to have slim calves: Bruising and calf muscles feel tight temporarily. Almost never damages to the other sensory nerves and muscles. A gentle recovery period with temporary muscle tightening and slight bruising, hardly any damage to the other sensory nerves as you can see in the calf liposuction surgery before and after photos. The line plastic surgery representative medical staff has received a lot of experience and know-how. Constantly evolving opportunities and customer satisfaction.